Belvedere Designs: All About Caffeine. Ahhh, caffeine. You know, as in coffee. I for one would be lost without my coffee in the morning. A day without coffee is really never as productive as a day with coffee. (Or is that just me?!) 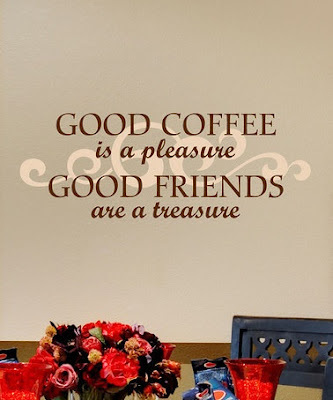 Point being: coffee is wonderful. 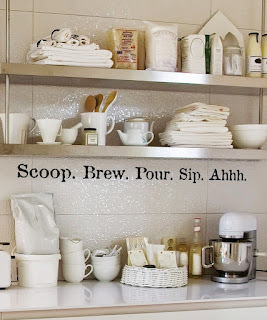 I love the flavors, I love the creamer, I love the sugar, and I sure do love that kick of caffeine! 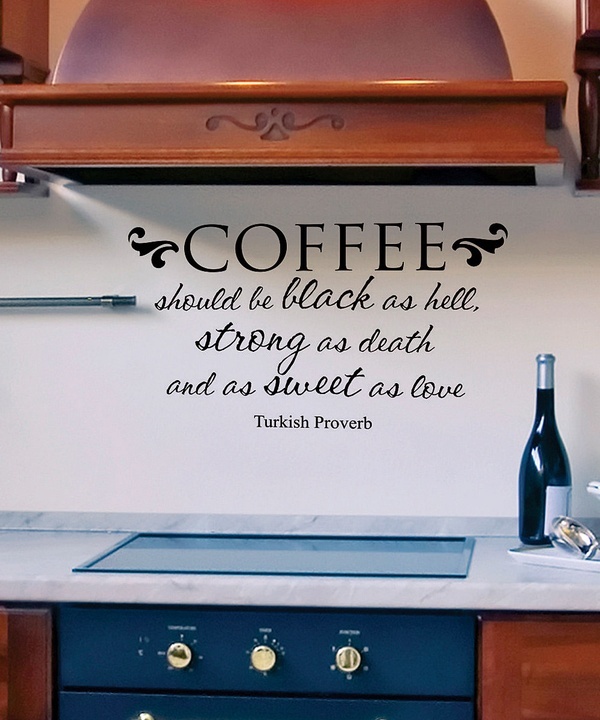 Coffee is just so spectacular that Belvedere Designs has come up with the best coffee quotes to add to your kitchen, coffee area, or dinning room! 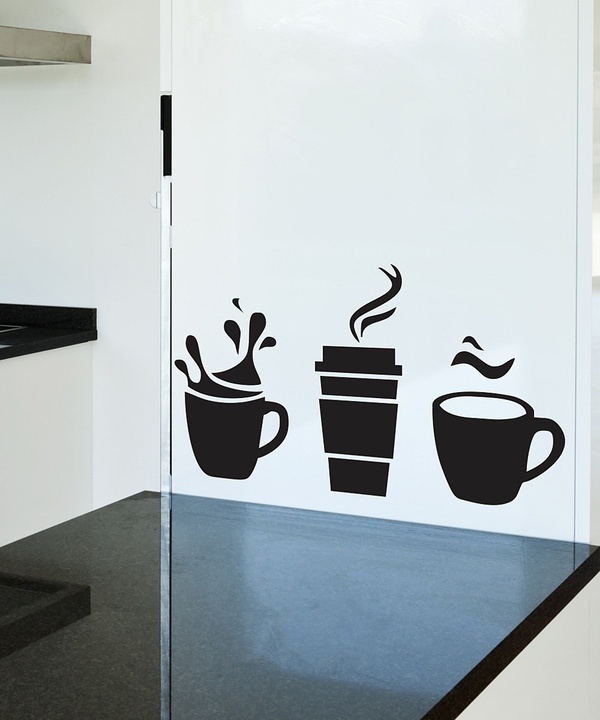 When you wake up in the morning, you look forward to that first cup of coffee. 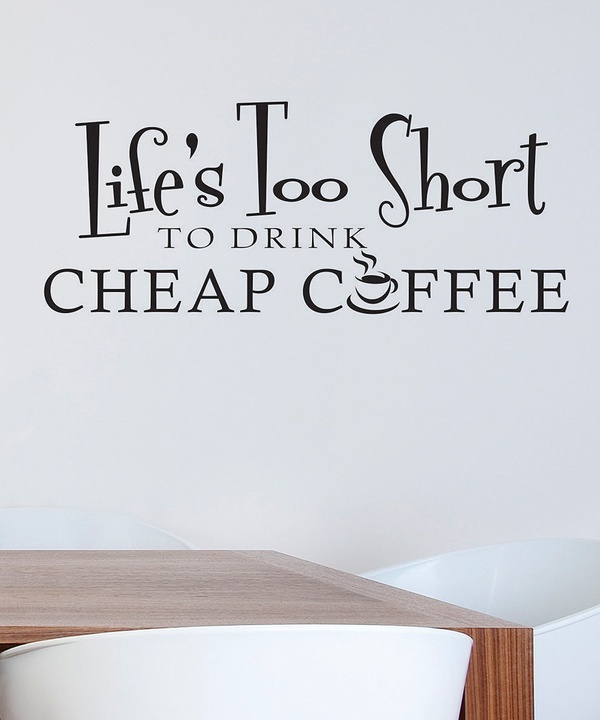 Why not also look forward to seeing your beautiful kitchen embellished with a coffee quote? 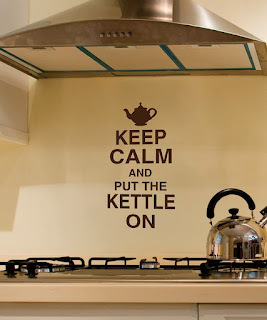 A sassy retake of the British classic phrase: "Keep calm and put the kettle on." 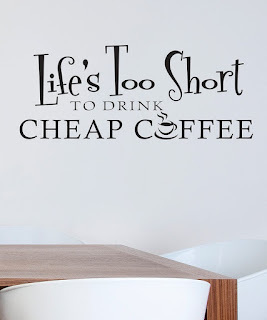 "Coffee should be black as hell, strong as death and as sweet as love"
"Life's too short to drink cheap coffee"
"Scoop. Brew. Pour. Sip. Ahhh." 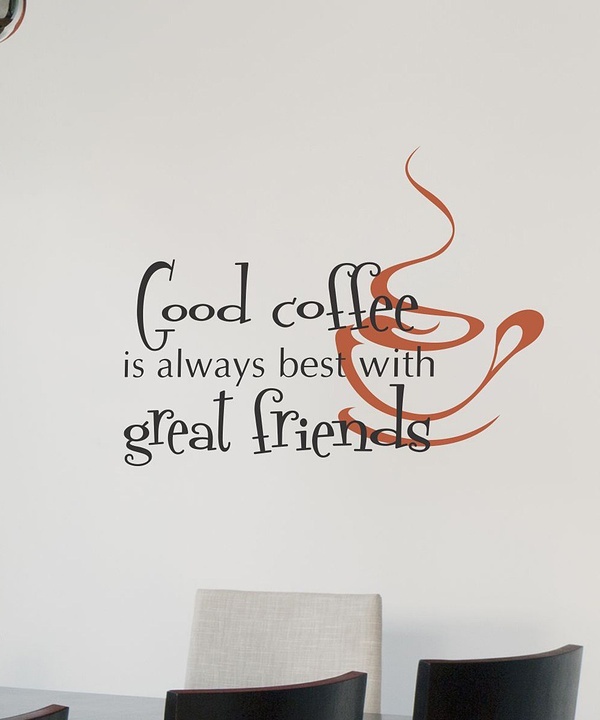 "Good coffee is always best with great friends"
Or take a more subtle approach with these edgy cup & coffee embellishments. 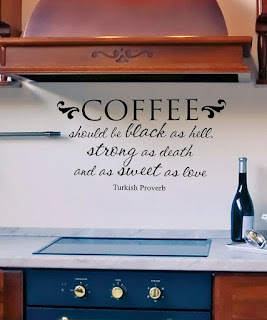 This one is my absolute favorite coffee quote! It's too funny, and just so true! "Coffee. Chocolate. Men. 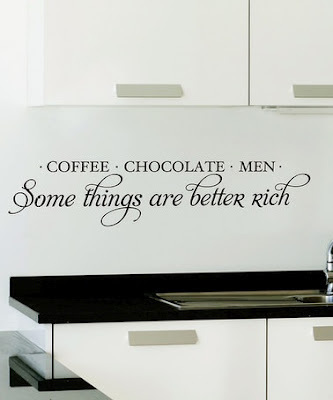 Some things are better rich"